Ahmedabad University is a private, non-profit institution established in 2009. It offers admission to Undergraduate, Postgraduate and Doctoral Programmes. Ahmedabad University will publish the official notification for the eligible candidates for admission into aforesaid for the academic year 2019-20. Candidates can fill the online application from the official website www.ahduni.edu.in. 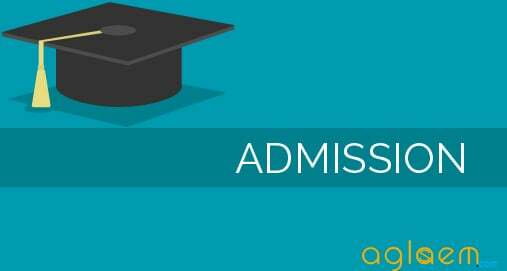 Candidates can check the complete information of Ahmedabad University Admission 2019 application process, eligibility criteria and other information on this page below. Latest: Admissions are open for BTech, BBA (Hons), BCom (Hons), BCom Professional (Hons), BA (Hons), BS (Hons), Integrated MBA, Integrated MS Programmes. Scroll down to apply for the same. Candidates seeking admission in various courses can fill the online application form from the official website or through the apply online link given below on this page. The application can be filled in online mode. Note* You can submit your application for Early Admissions or Regular Admissions. Students of Class XII, who are yet to appear for the final examinations or are awaiting results, may apply to Undergraduate Programmes of Ahmedabad University under Early Admissions. Under Early Admissions, a student may obtain provisional admission before the Class XII results are declared. Final admission is contingent upon satisfying the conditions stated in the Provisional Admission Offer. Online Application form for Ahmedabad University Admission 2019 is available on the official website for the applicants. Only one application is allowed for an applicant. If at any time, it is found that more than one application is filled by a candidate then the candidature will be summarily rejected. The direct link to apply online is provided below for your convenience. Click here to apply for Ahmedabad University Undergraduate Admission 2019. Click here to apply for Ahmedabad University Bachelor of Technology Admission 2019. 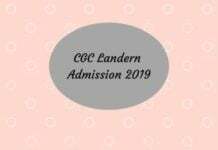 The admission is decided after viewing all the important components, admission to the undergraduate programme is made on the basis of overall performance and the programme requirement. An applicant’s performance is scored on each criterion and a comprehensive score is developed. Thus, it is possible for an applicant to secure admission with a lower score on one criterion (say marks in class XII) in comparison with another, due to superior performance on other criteria. For BBA, BCom, BCom Professional, iMBA, iMSc Programmes – The examination score are there on the application form, which will be checked or verified at the time of the interaction and/or during final admission confirmation. The interviews will be conducted at the Office of Admissions and Financial Aid. For outstation students, we also conduct Skype interviews. For Master of Business Administration – Admissions to the MBA programme are based on the holistic evaluation process, based on criteria that include qualitative, quantitative and attitudinal measures. Graduates or those in the final year of their graduation may apply to the MBA programme by taking one of the competitive aptitude tests from amongst CAT 2017 / XAT 2018 / CMAT 2018 / NMAT 2017 / MAT 2017-18/ SNAP 2017 / GMAT. Candidates who have not taken any competitive aptitude test yet, but have a strong academic background or relevant work experience, may also apply. After reviewing all the applications, shortlisted candidates will be called for personal interaction. The final selection will be based on their overall performance across the aptitude test, personal interaction, and academic performance. Candidates with relevant work experience or active participation in community service will be given preference. For Master of Management Studies in Heritage Management – The Master of Management Studies in Heritage Management is a unique programme which emphasizes the critical understanding of heritage and holistic management approach to the heritage sector. The admission is based on holistic evaluation comprising of a Statement of Purpose (SoP), a portfolio of relevant works OR a standard admissions test score, and a personal interview of short-listed candidates. For Master of Arts in Economics – The two-year Master of Arts degree programme in Economics (MA in Economics) is a one-of-its-kind graduate programme in the field in India. The programme is academically rigorous, with a focus on interdisciplinarity and practical exposure. The applicant should have a Bachelor’s degree or equivalent in any field including Engineering and Management; trained in quantitative subjects in Class 12 or at Bachelor’s level; a valid GRE/CAT or graduate level aptitude test or entrance test of Indian Central Universities, IGIDR or others. Foreign students with a valid IELTS score can also apply. For Master of Technology in Computer Science and Engineering – he School of Engineering and Applied Science offers two year MTech programme for the aspirants who wish to advance their knowledge in the field of Computer Science, with a special focus on ‘Data Science’ and ‘Analytics’. 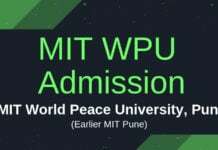 Admissions to the programme are open to those who have a valid GATE score in any of the subjects, which are, Computer Science, Information Technology, Electronics and Communication, Electrical Engineering, Instrumentation Engineering, Physics, and Mathematics. The candidate should have a Bachelor of Engineering/ Bachelor of Technology in ICT/CS/IT/EE/EC or a Master degree in Computer Science/Electronics/Mathematics/Physics OR a three year Master of Computer Application programme degree. A list of shortlisted candidates will be posted on the School website. For more details on Ahmedabad University Admission check the previous year brochure, download information brochure. 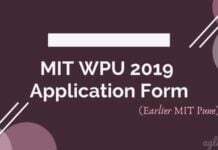 Insofar, Only the Application form for Undergraduate Programme 2019 has been released by Ahmedabad University. Other details on this page are based on previous year brochure. As soon as the official will release the official notification for Ahmedabad University Admission 2019, it will be updated here.